Whether you plan on staying at your first law firm forever, or can’t wait to open your own practice, marketing will be an important part of your career as a lawyer. Gone are the days where doing high quality legal work automatically produced a great income and career advancement. Today, every attorney needs at least a basic understanding of how to market themselves and their services, and some will need a much more sophisticated strategy to reach the highest levels of success in the practice of law. Learn the most effective marketing strategies for new solo law firms and cover methods to ensure ethical advertising. Whether you are opening your own law practice now, or simply have future aspirations to do so, marketing will be a key factor in your short and long-term success. But how will you go about setting, allocating, and measuring the effectiveness of your marketing dollars in the best way possible? For private law practices, the number of internet marketing vendors and sales reps is massive. Each has their own program and pricing, but how do you know what is the right strategy for your firm? How long should good results take to achieve? Whether your law firm depends entirely on referrals for new client acquisition or has a huge advertising budget designed to attract unknown prospects, every practice needs the right digital marketing strategy. One of the most commonly pitched programs is Pay Per Click (PPC) advertising. But how do you know whether PPC is the right investment for your firm? How much should you spend on it? Should it be managed in-house or by a vendor? How do you set-up a PPC campaign? In an increasingly digital-first world, a law firm’s reputation hinges on what clients express in online reviews. With the importance of reviews set to grow in the coming years, and the legal market getting more competitive, does your firm have a clear strategy to generate and manage online firm reviews? 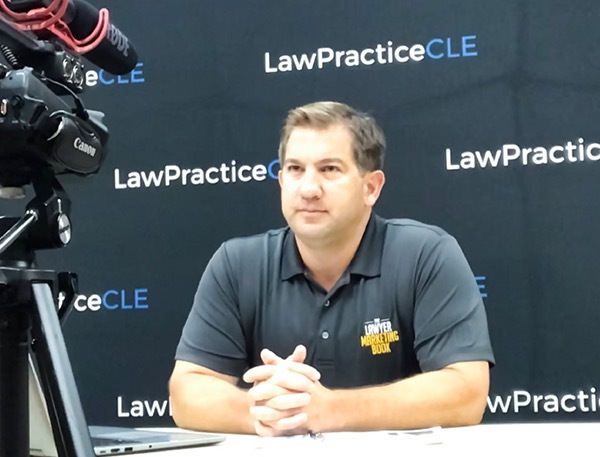 Using real-world examples of the best and worst new client intake practices, Matt Starosciak provides a comprehensive look at this critical law firm process. Attendees will leave with proven methods for identifying problems with their firm’s intake, specific ways to train staff, processes for surveying clients about their experience, and other keys to turning leads into high-paying clients.